The American DJ myDMX 2.0 Controller and Software is a simple laptop-based solution to controlling all of your DMX compatible lighting fixtures with software instead of using a manual controller. Whether you're lighting a small theater or touring large venues with a band, myDMX 2.0 will allow you to build your lighting setup for an optimal experience. The previous version, called myDMX, harnessed a number of features and technologies in clusters aimed at generating effects, creating lighting schematics and controlling moving fixtures. myDMX 2.0 gathers all of these technologies under the aegis of Scene Builder which features updated icons,design, faders, colors and preset components allowing for a quicker and more pleasant workflow. More than just an effects generator, Scene Builder allows you arrange your lighting fixtures and "draw" effects onto them with a computer mouse on an exciting graphic user interface. It all starts with your library of .SSL2 Fixture Profiles that inform you of the qualities, capabilities and limitations of every fixture in your arsenal. There is a profile in the software for almost every fixture on the market but if you need to alter one you can do it with the editor in your Scan Library. The Editor function is the part of the Scene Builder that programs your lights with a simple drag and drop mouse action. When the Scene Builder is open you'll see a list of all of your fixtures on the left side of your computer screen and thanks to the .SSL2 Fixture Profiles you'll know everything about them. You can create groups and matrixes of these fixtures and control their functions by selecting them singly or in the group via the XY Grid. For example, on a moving head this may be Shutter Open, Iris Open and Dimmer 100%. You can then set about the creation of up to 255 dynamic scenes, with up to 1,000 steps within each scene that can be set from 0 to 43 minutes of fade and wait time for each step. Channel shortcuts enable doing it once again with a computer mouse. Color selection is just as easy with the Color Wheel. You can click on the wheel and drag around it with the mouse to choose a color or simply click to select one of the 6 presets. Another part of the wheel modifies brightness while the center allows use of a color picker to choose a color or insert RGB values. myDMX comes with a full suite of software that ensures both Windows and Mac compatibility. myDMX 2.0 has been re-built from the ground up on the foundation of its predecessor, the popular myDMX. The enhanced version is now both Mac and PC compatible. 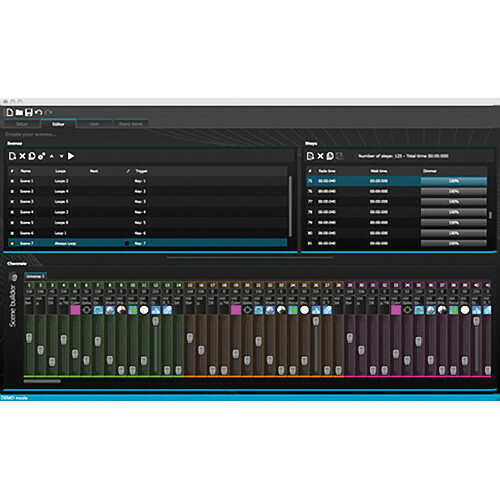 The software features a unique design, which includes novel icons, faders, colors and preset components, allowing for a quicker and more pleasant workflow. Quickly jump to a color or position with the popup presets and change the scene color on the User screen. The Scene Builder allows you to do everything you used to do with the original Effects Generator and more. Arrange lighting fixtures, draw effects directly onto fixtures and set your effects in real-time without the need to set each fader and step manually. The Linear Fan effect allows you to create color gradients and position fans. The .SSL2 Fixture Profiles Format allows information to be stored about the personality of a lighting fixture. This allows for quicker and easier programming. For example, if you have an LED bar with several segments, you can control each segment individually while still having global control of master dimmer and macro channels. 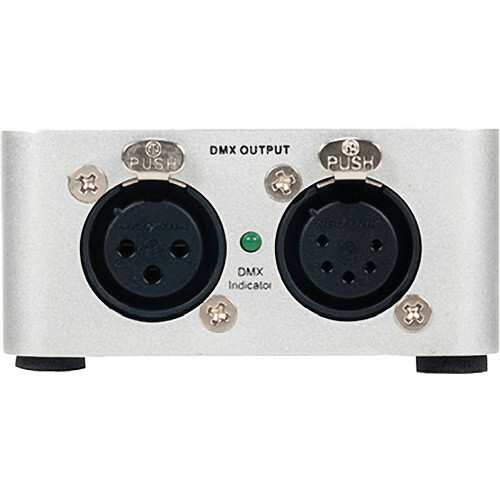 All of the attributes of a DMX device are saved in a special file called the Fixture Profile or .SSL2 file. The more accurate the fixture profile, the easier it will be to program your lighting with myDMX 2.0. There is a profile for almost every fixture on the market. Fixture profiles can be created and edited with the Scan Library editor software. The editor is where all of the lighting programming is made. Drag a fader with the mouse to change the value. To change the value of the same channel type on every fixture, hold shift. Notice that the DMX output value is displayed at the top of the fader. myDMX 2.0 also features a range of preset components to help you to quickly adjust a channel. Up to 255 dynamic scenes are possible with the myDMX 2.0, with up to 1,000 steps within each scene that can be set from 0 to 43 minutes of fade and wait time for each step. It is possible to override scenes by manually moving the faders. When the Scene Builder is opened, you will see your lighting fixtures on the left. Each square represents a lighting fixture. Click and drag the squares to position the lighting fixtures. Hold Control (PC)/Command (Mac) to select multiple fixtures. Groups can be created to help quick recall of fixture selections. To create a group, select the fixtures to be included inside the group and then simply select the + button. with a simple mouse click myDMX 2.0 will automatically position your lighting fixtures into a matrix. You can select the Arrow Tool arrow to define a custom width and height of the matrix. Once you have selected the lighting fixtures you wish to control, all common presets will be shown. To view only the presets of a particular fixture type, select the appropriate tab. You can change any preset with the Pen Tool. The color wheel offers several ways to change the color. You can click the cursor and drag around the color wheel to choose a color or click on the color wheel to jump to one of the 6 preset colors. Drag up and down to move slowly around the color wheel to select the center sections that modify the brightness and saturation. The center of the wheel allows you to choose a color with a standard color picker or insert RGB values. The XY grid allows you to modify the pan/tilt channels of a fixture (uPan and uTilt are automatically calculated) by clicking its center point and dragging it into position. Clicking the Beam On button will enable the default preset of each selected fixture. For example, on a moving head this may be Shutter Open, Iris Open and Dimmer 100%. The linear fan function allows you to define a range by selecting a start and end point. The preset range will then be applied across the selected lighting fixtures. This is a great way to create color gradients and position fans to affect a number of fixtures. myDMX 2.0 features a powerful RGB Color Effects Generator. To add an effect, select the effects tab and click the FX icon. Select Color Effect. A rectangle will appear in the upper left corner playing a rainbow effect. Drag and drop this over your lighting fixtures. The effect can be resized by dragging the corners. Position effects allow you to easily create movement patterns for scanners and moving head lighting fixtures. Select the fixtures you want to control, select Position Effect from the FX menu and then select a starting shape. The shape can be altered by clicking on a point and dragging. Phasing will add a delay on each fixture. The curve effect tool allows you to apply a dimming curve to any channel. Select Curve Effect from the FX menu and select the fixtures you wish to control. You can remove an individual effect by clicking on the trashcan icon. MIDI Triggering is a powerful tool that allows live playback of scenes that you've programmed as well as fixture control. 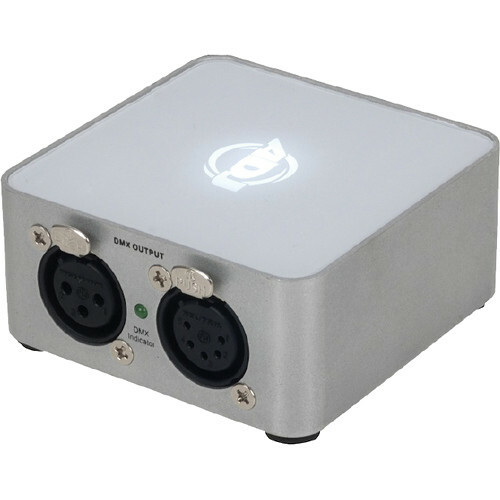 Any standard MIDI controller can be connected to your computer and linked to trigger scenes with your myDMX 2.0 software.